Match ends, Fleetwood Town 3, Leicester City U21 0. Second Half ends, Fleetwood Town 3, Leicester City U21 0. Foul by Joe Maguire (Fleetwood Town). Simranjit Thandi (Leicester City U21) wins a free kick in the defensive half. Attempt missed. Bobby Grant (Fleetwood Town) left footed shot from the centre of the box is close, but misses to the right. Goal! Fleetwood Town 3, Leicester City U21 0. Wes Burns (Fleetwood Town) right footed shot from the right side of the box to the top left corner. Assisted by Elohor Godswill Ekpolo. Josh Knight (Leicester City U21) wins a free kick in the defensive half. Attempt blocked. George Glendon (Fleetwood Town) right footed shot from the centre of the box is blocked. Corner, Fleetwood Town. Conceded by Hamza Choudhury. 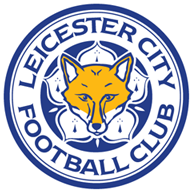 Delay in match Dylan Watts (Leicester City U21) because of an injury. Substitution, Fleetwood Town. Jack Sowerby replaces Jordy Hiwula-Mayifuila. Attempt saved. George Glendon (Fleetwood Town) right footed shot from outside the box is saved in the top centre of the goal. Corner, Fleetwood Town. Conceded by Max Bramley. Attempt missed. Nathan Pond (Fleetwood Town) right footed shot from the centre of the box is just a bit too high. Corner, Fleetwood Town. Conceded by Josh Debayo. Attempt missed. Wes Burns (Fleetwood Town) right footed shot from outside the box is close, but misses to the left. Foul by Markus Schwabl (Fleetwood Town). Foul by Josh Debayo (Leicester City U21). Hand ball by Jordy Hiwula-Mayifuila (Fleetwood Town). Attempt missed. Ashley Hunter (Fleetwood Town) right footed shot from outside the box is close, but misses to the right. Substitution, Leicester City U21. Josh Felix-Eppiah replaces Liandro Martis. Corner, Leicester City U21. Conceded by Elohor Godswill Ekpolo. Goal! Fleetwood Town 2, Leicester City U21 0. Baily Cargill (Fleetwood Town) header from the centre of the box to the top right corner. Assisted by George Glendon following a set piece situation. Attempt missed. Wes Burns (Fleetwood Town) right footed shot from outside the box is close, but misses the top right corner. Attempt saved. Jordy Hiwula-Mayifuila (Fleetwood Town) right footed shot from outside the box is saved in the centre of the goal. Attempt blocked. Ashley Hunter (Fleetwood Town) right footed shot from the centre of the box is blocked. Attempt missed. Nathan Pond (Fleetwood Town) header from the centre of the box is just a bit too high following a corner. George Glendon (Fleetwood Town) wins a free kick in the attacking half. Ashley Hunter (Fleetwood Town) hits the left post with a right footed shot from outside the box. Second Half begins Fleetwood Town 1, Leicester City U21 0. Substitution, Fleetwood Town. Joe Maguire replaces Amari'i Bell. Substitution, Leicester City U21. Simranjit Thandi replaces Lamine Sherif. Substitution, Leicester City U21. Admiral Muskwe replaces Layton Ndukwu. First Half ends, Fleetwood Town 1, Leicester City U21 0. Attempt missed. Wes Burns (Fleetwood Town) right footed shot from the centre of the box is just a bit too high. Attempt saved. Wes Burns (Fleetwood Town) right footed shot from outside the box is saved in the bottom left corner. 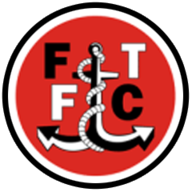 Delay in match Amari'i Bell (Fleetwood Town) because of an injury. Attempt missed. Ashley Hunter (Fleetwood Town) right footed shot from the centre of the box is close, but misses to the left. Foul by George Glendon (Fleetwood Town). Josh Gordon (Leicester City U21) wins a free kick in the defensive half. Goal! Fleetwood Town 1, Leicester City U21 0. Elohor Godswill Ekpolo (Fleetwood Town) right footed shot from the right side of the box to the top left corner. Assisted by George Glendon. Attempt missed. Baily Cargill (Fleetwood Town) header from very close range is too high. Attempt saved. Elohor Godswill Ekpolo (Fleetwood Town) right footed shot from the right side of the box is saved in the top left corner. Delay in match Layton Ndukwu (Leicester City U21) because of an injury. Attempt missed. Ashley Eastham (Fleetwood Town) header from the centre of the box is close, but misses the top left corner following a corner. Corner, Fleetwood Town. Conceded by Sam Hughes.